No two consumer cards will be approved on the same day. 2nd consumer card may be approved 8 business days after the first card is approved. Most cards' sign-up bonus is not available to card applicant if the same card account has been opened or closed with the last 18 months. This includes downgrade the card to a no-fee version card. Card applicants who have had 5 cards (Chase or non-Chase) opened within the last 24 months would likely not see the application for Chase Freedom, Sapphire Preferred, or Ink card approved. Application may also be denied if too much credit limit ($30k) has been increased in the last 24 months when there is no income increase. 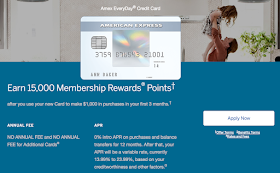 AMEX card sign-up bonus is eligible once per life-time for each card. AMEX no longer back dates new account opening date. Downgrade your old AMEX card to a no-fee version one instead of canceling it to keep good credit card history. • 25000 AMEX membership rewards offer is available for first-time AMEX member via phone call confirmation . • Ultimate reward points can be combined with those earned via Chase Sapphire Preferred and/or Chase Ink. 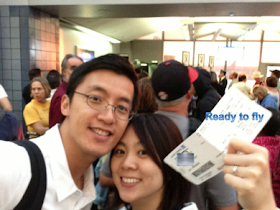 • Reviews: urgent flight, target 50K, 1K from MileagePlus Dining program. • Sometimes, 70,000 points available. • Earn 2X on Southwest purchases, 1X on all other purchases. • 5% AAdvantage mileage bonus during the card membership year.